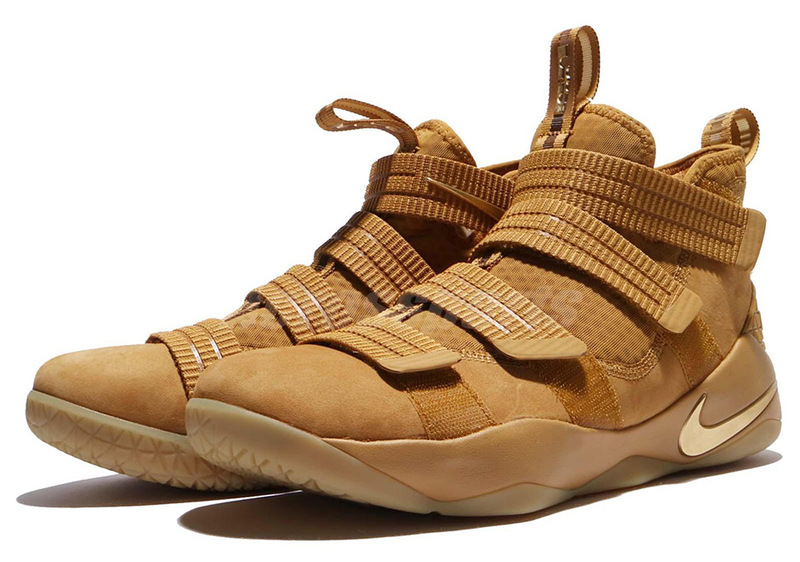 Update: The Nike LeBron Soldier 11 “Wheat” hit retailers on October 7th, 2017 for $140. 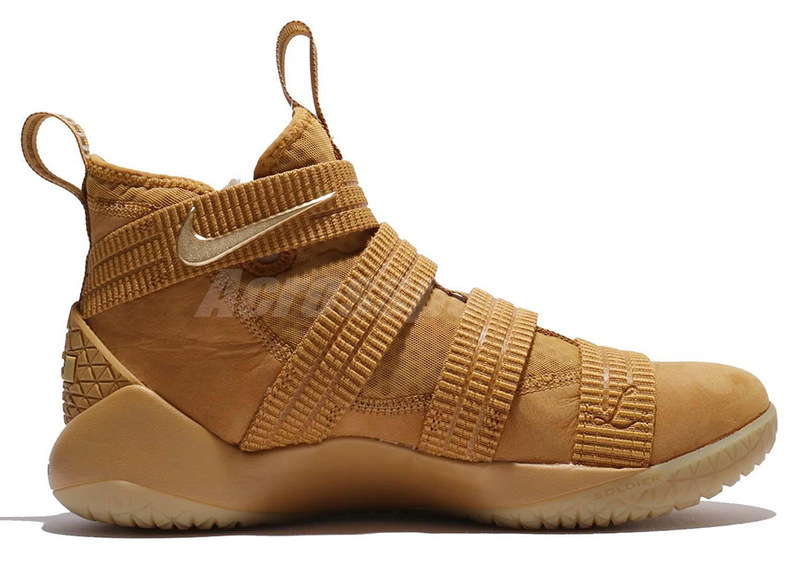 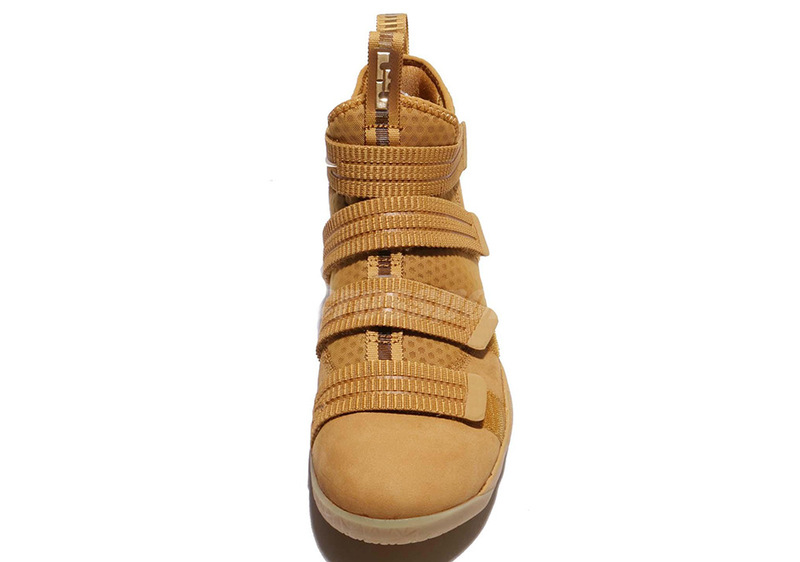 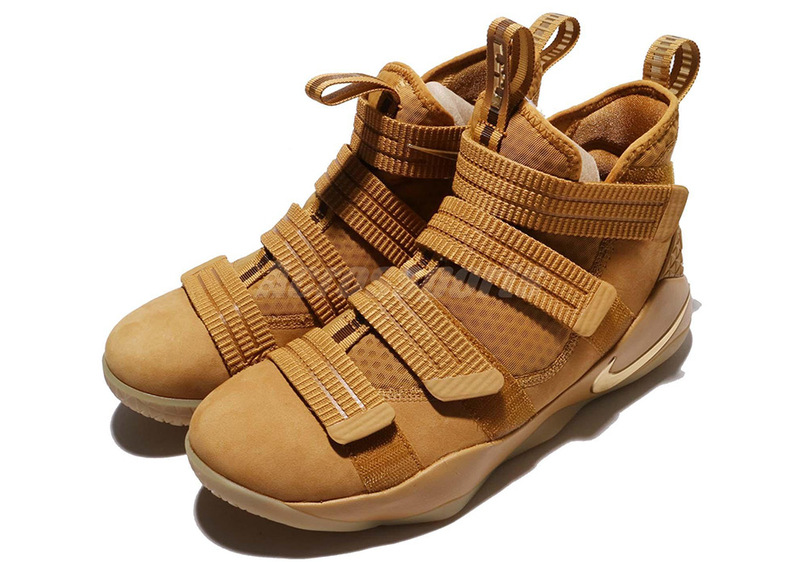 The quadruple-strapped Nike LeBron Soldier 11 has entered Fall mode as this seasonally popular “Wheat” look arrives to the popular on-court silhouette. 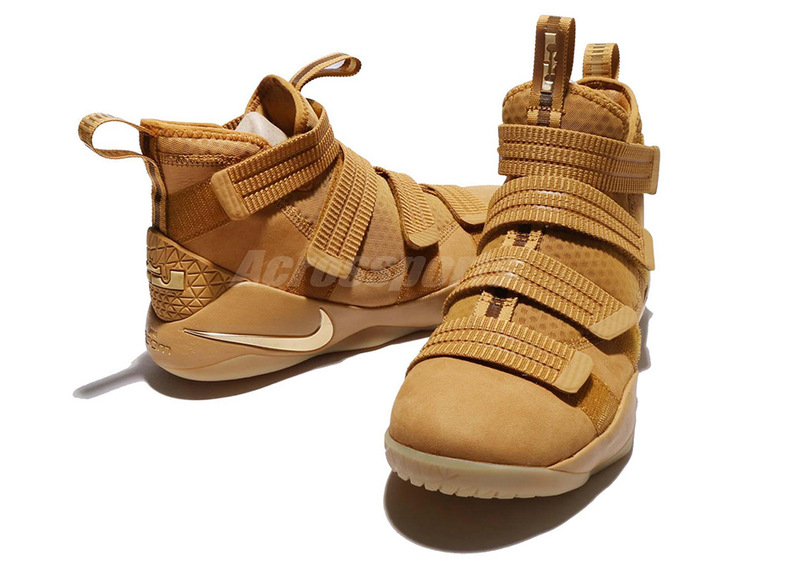 From top to bottom, Nike blesses this performance shoe with the boot look, with hits of metallic gold on the midsole Swoosh and LeBron crown logo on the pull-tabs adding that extra flair. 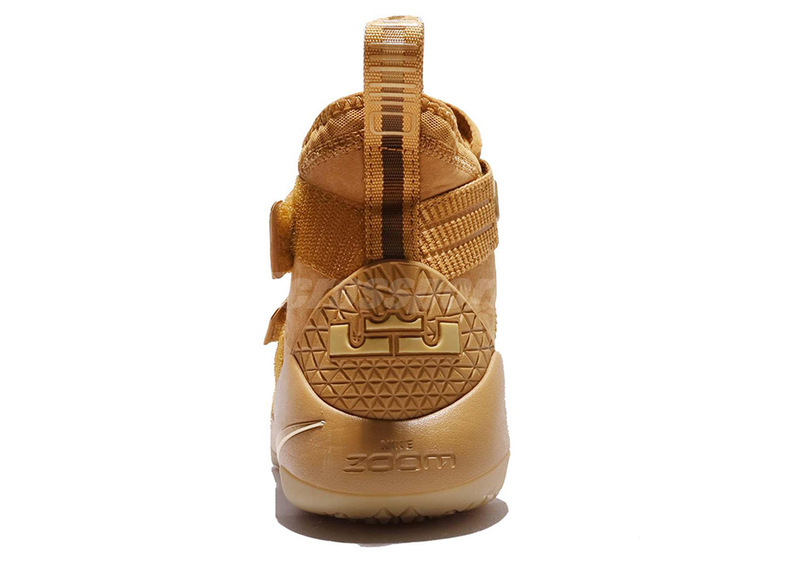 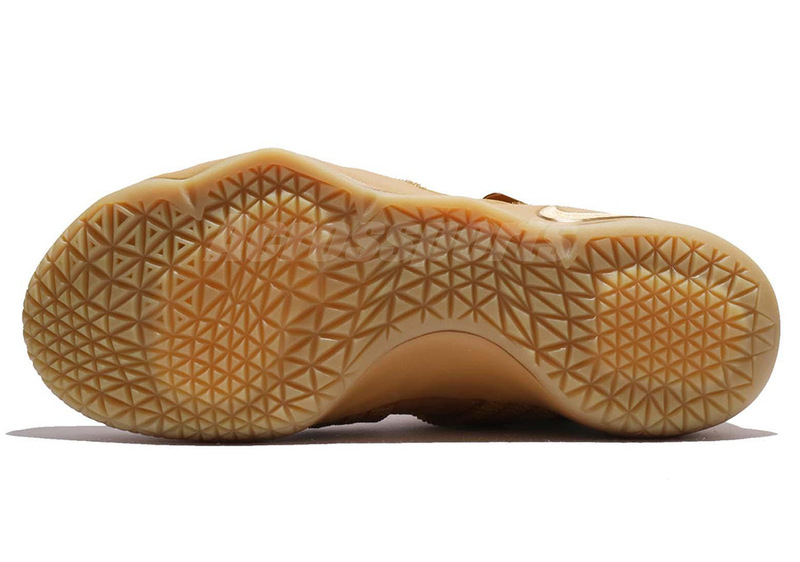 Does this remind you of the Air Zoom Generation in the All-Star “Wheat” colorway? 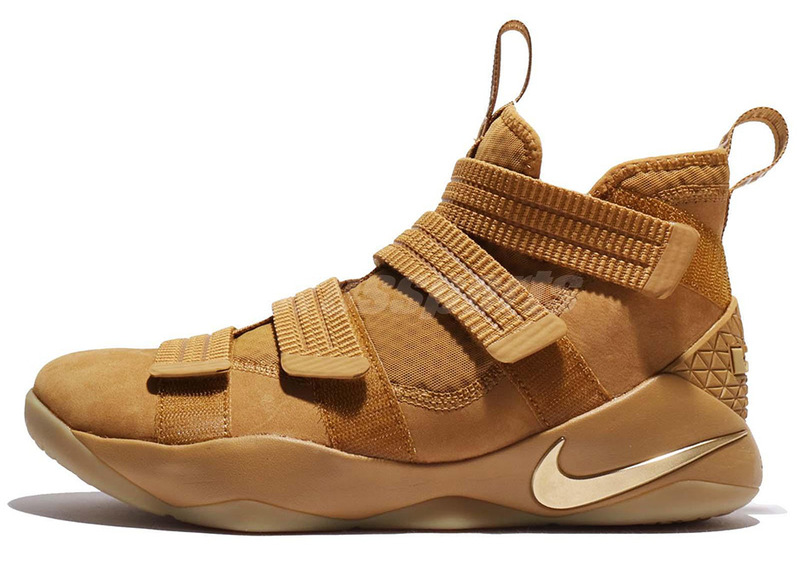 If you’re into these Wheat LeBrons, don’t need to wait for a release date because a full size run is up for grabs right now on eBay.